Sergey U. Kluchnikov is the member of the Russian Academy of Natural Sciences, psychologist, philosopher, researcher of mysticism, expert in research of latent reserves of human, member of the Russian Union of Writers. S. Kluchnikov is one of the most popular Russian authors who writes on self-development, self-regulation, personal harmony and attainment of life's success, research of Eastern and Western meditation practices, stress relief and self-actualization. He has published 17 books (over half a million copies in total), he has also published several hundreds of articles in various journals and reviews. Way to itself: Finding of spiritual force. S. Kluchnikov graduated the faculty of philology of the Tomsk State university, post-graduated the psychological faculty of St. Petersburg State university. He worked as the head of the department of Eurasian philosophy and Russian concept in the Institute of World literature of RF Academy of Sciences. 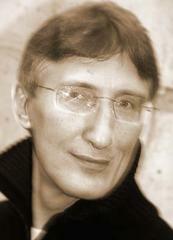 As a practical psychologist S. Kluchnikov conducted psychological training in major public and private companies, like Central office and branch offices of Savings bank of Russia, «Transneft», Culture Fund of Russia, National Economy Academy under Council of Ministers of Russia, Administration of the President of the Russian Federation, advertising agency «Modul», Higher institutes of International Business, Moscow Rescue Service and others. S. Kluchnikov basically focuses on a human being and his psychological spiritual self-development and perfection. The main attraction for his readers is a large number of practical methods and psychotechnologies which can help awaking the undercover forces of body and psyche and to turn them into good. For a long time S. Kluchnikov was professionally studying metaphysics and spiritual practices of the East. During his journeys in India he studied at Yoga schools, Hinduistic ashrams and Tibetan monasteries. Studying at Satya-loka ashram in South India in 2001 was the turning-point in his course of life. At Satya-loka ashram he gained serious spiritual experiences, which stimulated his literary and scientific work. After that during 2 years period he published 7(!) new books. As a result of total immersion in East culture spirit and 25 years of meditation practice S. Kluchnikov created a particular system of human being self-development. That system was called «healing psychology». S. Kluchnikov popularizes «healing psychology» not only through literary work but through numerous seminars, trainings and lectures. 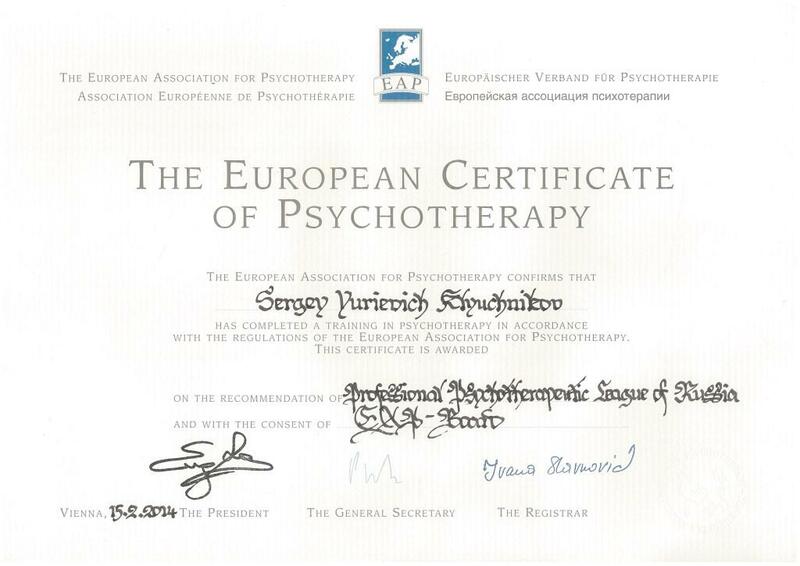 During the last 15 years tens of thousands of people have passed through the S. Kluchnikov's system of trainings. Specialists think that in his works S. Kluchnikov has founded the guiding thread for practical views on life, and at the same time he summarized experiences in finding spiritual wealth. His experience in studying concealed East wisdom is well matched with the life of modern society and it's problems. One may be sure that his readers will be pleased with the gripping narration concerning the secrets of human soul. «Kluchnikov's books not only describe numerous methods and technique of self-government, but also contain system of healthy, harmonious life, integrated approach which show the little known human culture section: culture of preserved human integrity». (Alexander Maslov, well-known orientalist and writer, doctor of Historical Science, researcher of Chinese spiritual tradition). «Taking care of each of us S. Kluchnikov managed to bring together wisdom of many countries, it is a golden deed. I hope this book will have a long life». (Daosin,Taoism master from China, about S. Kluchnikov book «Invisible shield»).